Robert McArthur is a designer that resides in Bountiful. He sometimes designs LDS temples and his home was the inspiration for our exterior. 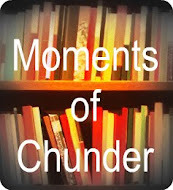 I have been fortunate enough to see inside a couple of his homes and ever since, I have been inspired to try to think more "vertically" when hanging pictures instead of always "horizontally." Click here if you want to link to Robert's web page to see his portfolio. Vertical groupings work well on smaller walls so for this large wall I had to go horizontal. I love the look of a large mat with a small picture. 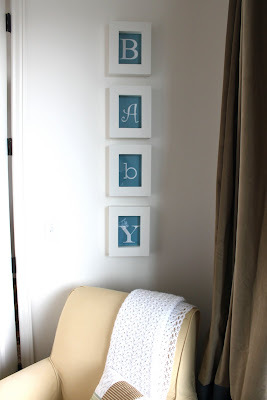 It can be very expensive if you have them custom made by a framing or craft store (around $30!). For the cheaper version I bought a large white mat board from Ben Franklin (a local craft store - I think it was about $6 and big enough for 2 frames). I then went home and cut just the outside edges so that the mat would fit inside the frame. Even though I am careful and use a razor blade it is still far from perfect but it doesn't matter - the frame edges will hide your imperfections. Then I took the mat back to the craft store (maybe go to a different one!) and asked them to cut a 4x6 opening in the center. For some reason they only charge like $2 or $3 (I have even had them do it for free once). I am not a great photographer but have found that if I make a photo black and white- it looks more professional. I also like the pictures that are zoomed in quite close on my kids faces. 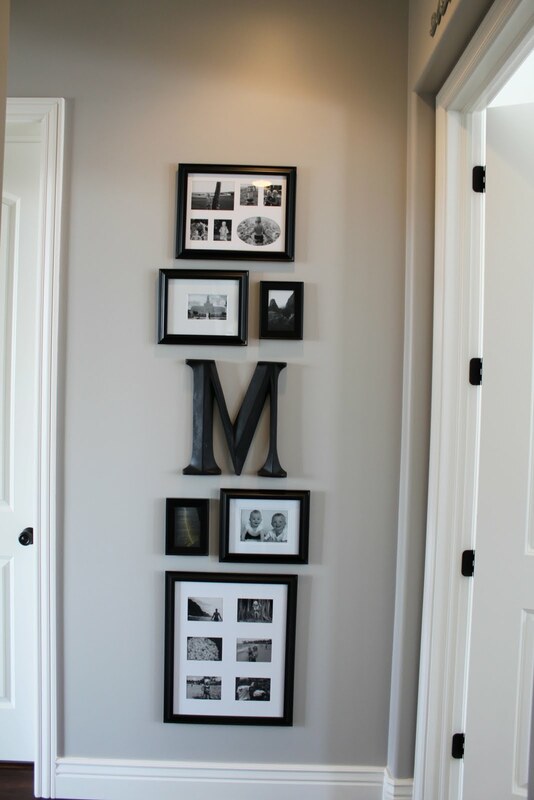 To hang a grouping like the one above it is a whole lot easier if you hang empty frames first, then find pictures in coordinating sizes to go in the frames. I always purchase a whole bunch of different frames I like - way more than I need but that way you have options and you can always return the unwanted ones. I then always start by laying out a grouping on the floor. I keep moving the frames around until I come up with a grouping I like - then you can test it on the wall. I do this by removing the papers that come inside the frames and tape them to the wall. This also gives you a good idea of where to put the nail holes. 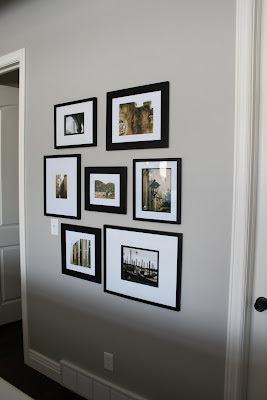 Again it is slightly harder to make a grouping from a bunch of already framed photos you like and want together, but it can be done, just use the floor first and if you are nervous about nail holes try non-committal Command Velcro hanging strips (I love these things!). 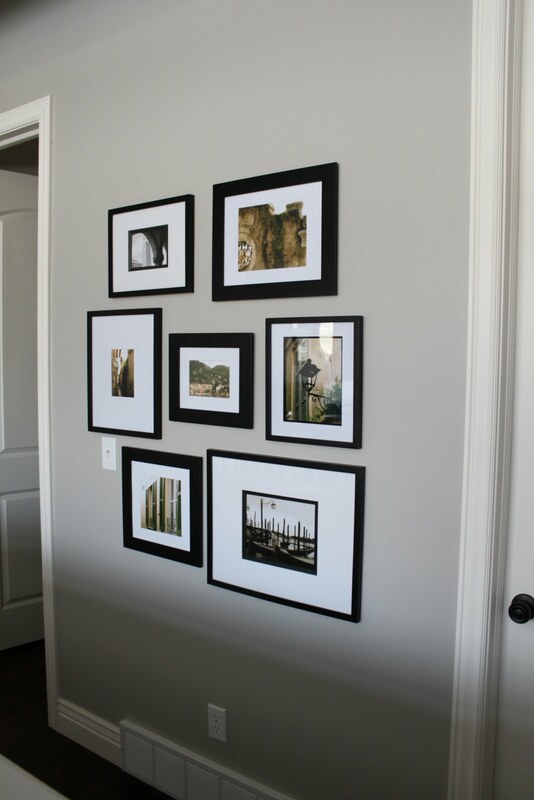 When hanging pictures you usually want them at eye level, but if you are hanging a vertical grouping they can go quite high and low. Pottery Barn magazines are always a great place to look for inspiration on hanging pictures. Hi there! Could you message me with the beautiful paint color that is on the wall with the 'M'? Thank you very much! It's a beautiful home color. It is the same color I have used on almost all the walls in my home - Benjamin Moore "Ozark Shadows" lightened 50%.